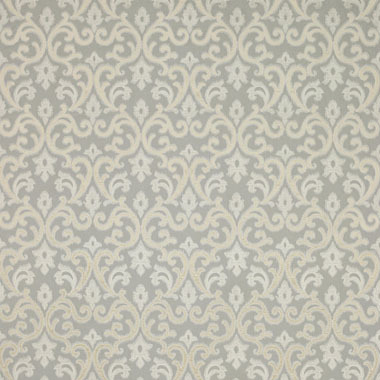 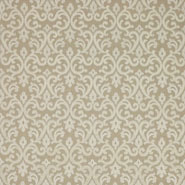 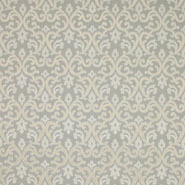 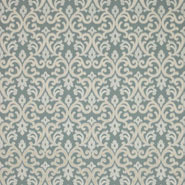 An appealing design with a winning combination of damask figuring and scrollwork ogee. 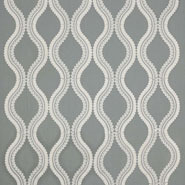 Finely detailed areas of cream velvet appliqué together with ikat effect stitching create an easy feel. 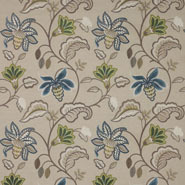 On linen ground colours all with cream detailing. 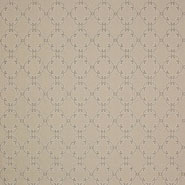 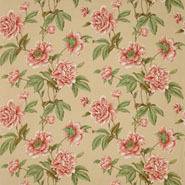 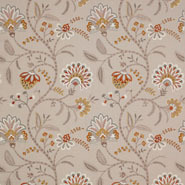 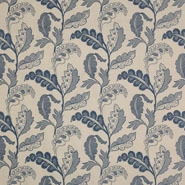 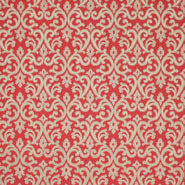 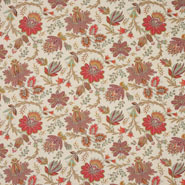 Soren is from Colefax & Fowler's Casimir collection.